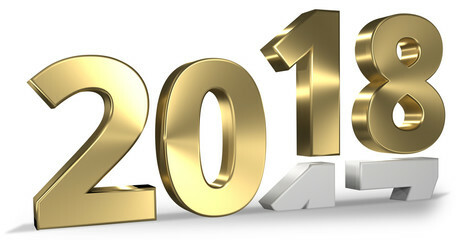 We hope you are having a great start to 2018! For OK Kosher, 2017 has been another year of continued improvement and growth in all areas. We are happy to share with you that we have hired additional rabbinic and support staff as part of our commitment to maintain a leading role in the kosher industry. We are also very, deeply saddened by the passing of our long-time senior Rabbinic Coordinator, Rabbi Dovid Steigman, OBM, who passed away in March 2017. Many of you were blessed to have known and worked with him. His kind and caring personality, sharp wit and positive energy will be sorely missed. 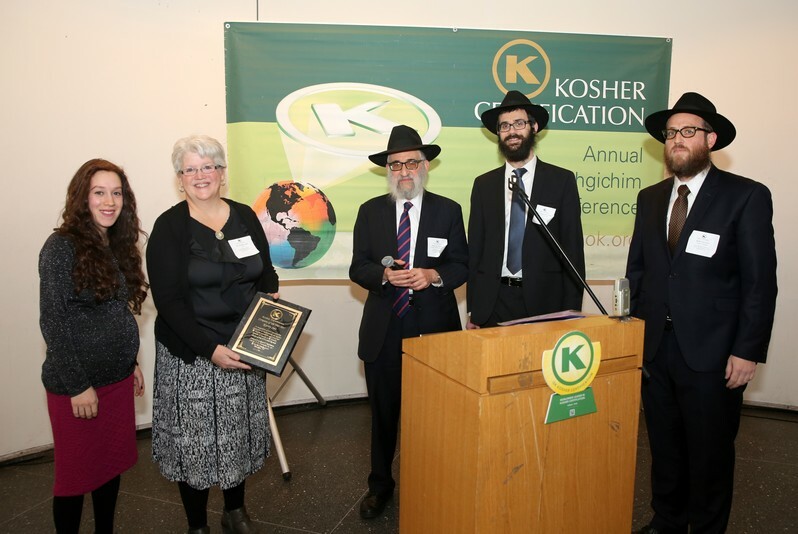 This year’s OK Kosher Annual International Conference held in November brought Rabbinic Coordinators and Field Representatives from across the globe together for a full-day symposium. The program featured updates from management on recent developments and overall direction. In addition, high level presentations on kosher law were given by several of OK Kosher’s staff members. One of the highlights of the gathering was the presentation of the 2017 “OK Kosher Featured Company Award,” presented to Kerry Group, a leading producer with many decades of adherence to kosher production under OK Kosher supervision. 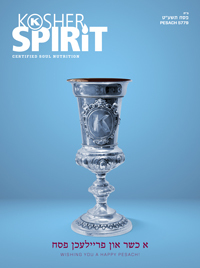 Kerry Group was chosen for this award in acknowledgement of their genuine dedication to maintaining OK Kosher’s highest regulatory standards required by kosher dietary law. We are proud to acknowledge the entire team at Kerry by selecting them for the “OK Kosher Featured Company Award” this year. While focusing on our strategic growth, we have put processes in place to ensure that OK Kosher’s standards are uniform worldwide. In general, all standards and policy decisions are established by senior rabbinic staff in our New York head office. Frequent visits are conducted by senior rabbinic staff to our certified facilities around the world to ensure the highest standards. This past year, our president, Rabbi Levy, and I have made trips to our Israel office several times (one lasting over 30 days! ), working with our staff there to further OK Kosher’s world-renowned standards and service in the areas of the world which they oversee. Our Israel branch is currently responsible for our continuously-growing efforts in the Middle East, Eastern Europe, China, India, and South Korea. I have also made a visit to our West Coast office in Los Angeles recently. We are happy to report that our merger with Kehilla Kosher of the West Coast two years ago has successfully panned out. We are now certifying hundreds of industrial manufacturers as well as close to one hundred foodservice establishments on the West Coast. Feedback from our customers has proven that our programs and our personnel are making a big difference in this geographical region. We invite you to visit our list of globally-based regional offices. Whether it is an additional facility you would like to certify, or a supplier of yours which needs help becoming certified, our staff is always available to discuss your needs and advise you based on their expertise, almost always in the native language of the region at hand. Our goal is to help you bring as many products as possible to the market which are “kosher without compromise.” Please stay tuned as we will be making our Private Label process more automated and streamlined to help you and your customers service your markets. If there is anything our staff can help with, please feel free to reach out to them, or to me directly. With continued blessings for a healthy and productive 2018!